The Statue of Liberty is a figure of a robed woman representing Libertas, a Roman goddess. She holds a torch above her head with her right hand, and in her left hand carries a tabula ansata inscribed in Roman numerals with "JULY IV MDCCLXXVI" (July 4, 1776), the date of the U.S. Declaration of Independence. A broken chain lies at her feet. 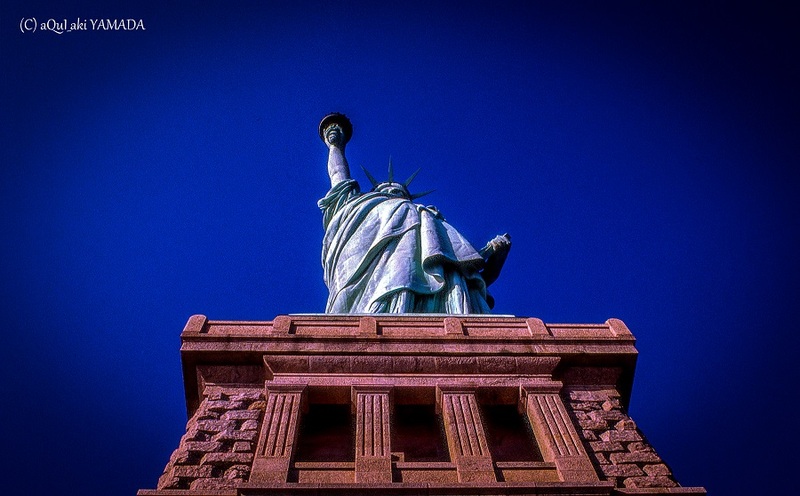 The statue became an icon of freedom and of the United States, and was a welcoming sight to immigrants arriving from abroad. (performed by Povo) "Garota Diferente"